I started my hourglass sweater back in May and finally finished it last week! I have to say, I'm pretty pleased with the results. I've already worn it three times. 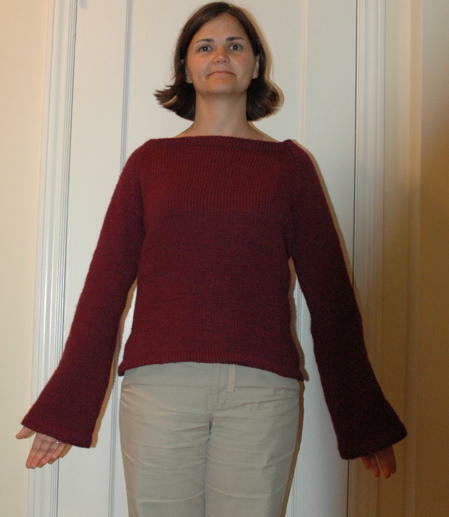 This was my first sweater, and although I did have some problems reading the instructions (just because I wasn't familiar with the techniques), once I dove right in, it all actually made sense. I've already started my second sweater. I wrote about my progress on my blog. Thanks to everyone here for the support! That looks so lovely on you! I'm almost done the 2nd sleeve on mine and will post photos when done. Your sweater looks great! 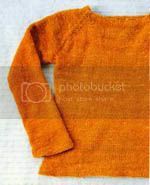 I will be starting my Hourglass Sweater soon...it is my first sweater as well. So, I think the KAL will be a great resource. Nichole, your sweater looks fabulous! Congratulations on a job well-done!